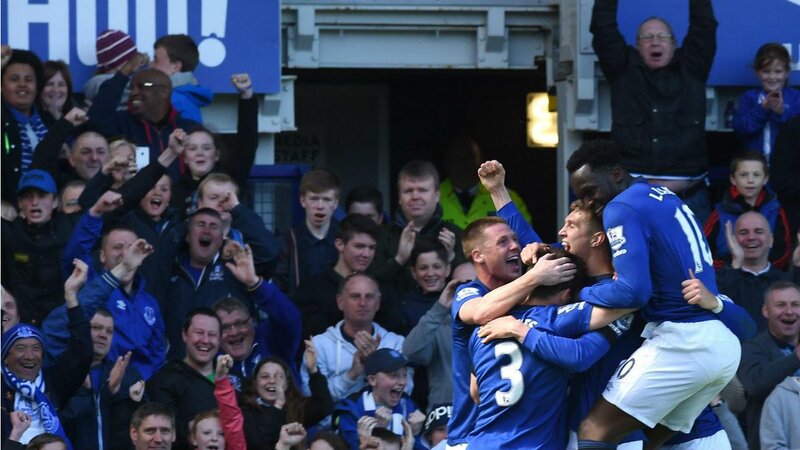 Goals from Kevin Mirallas, John Stones and James McCarthy sealed an emphatic win for Everton over Man Utd; emphasizing the Toffees's excellent run of form. A minute silence was held in memory of the Sir Philip Carter prior to kick off. 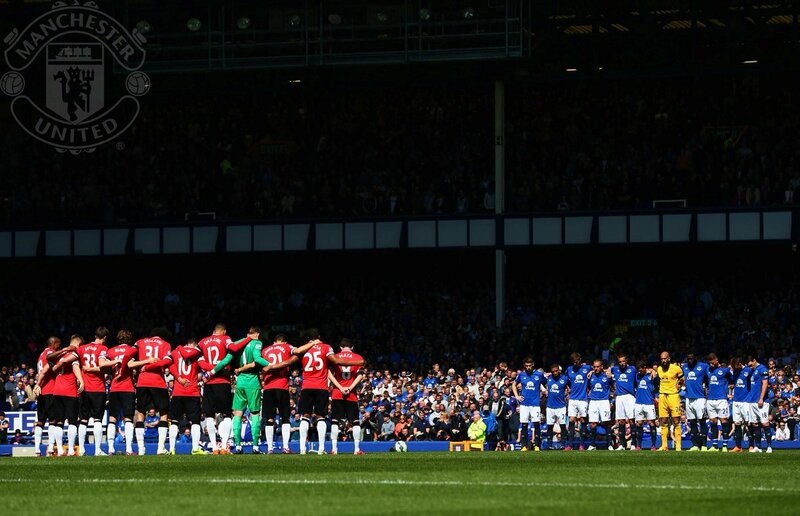 Everton opened proceedings under a raucous atmosphere at Goodison Park, but a quick United takeover of possession put Fellaini in a dangerous position. Nothing resulted in it, mind you. Mata's attempted cross for Fellani was cleared away and the Toffees mounted a very dangerous counter attack. McCarthy blistered through the middle and fed Coleman on the right, who's cut-back was half-intercepted by Blind. The ball, however, rolled back to McCarthy in the middle and he superbly dribbled through Blind and McNair to set himself on goal with De Gea, where the Irishman tucked home past De Gea. Fellaini was hungry for possession and took no prisoners against his former side when he smothered Barry outside the area and put himself on goal. However, he rushed his shot and the ball bundled over Howard's crossbar. Everton were being pressed down the right side, as Valencia and Mata controlled possession and regularly found themselves in tons of space. The home side had to stop that, or else a goal could have come from it. Martinez's men would extend their lead just ten minutes from the break. 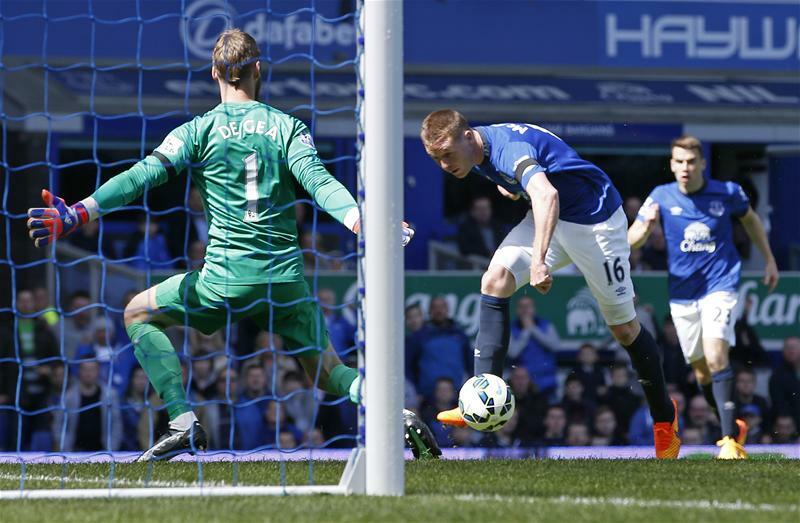 After a sequence of corners, Everton would finally convert a goal from one. It was poor defending on United's part, who let Stones steal a yard, meet the ball and plant a header past De Gea and Young who couldn't do anything to keep it out either. Perhaps it was harsh on United considering their 13pt amount of possession and regular pressing, but Everton capitalized on the poor defending well to put themselves two goals to the good at half time. Louis van Gaal had a massive job to do, meanwhile Roberto Martinez will have told his side to do more of the same. The real fluency in the game died down, and that would have easily favoured Everton. Their game to lose. Radamel Falcao replaced Marouane Fellaini for the second half, clearly due to his booking and potential red card with the way he was going. 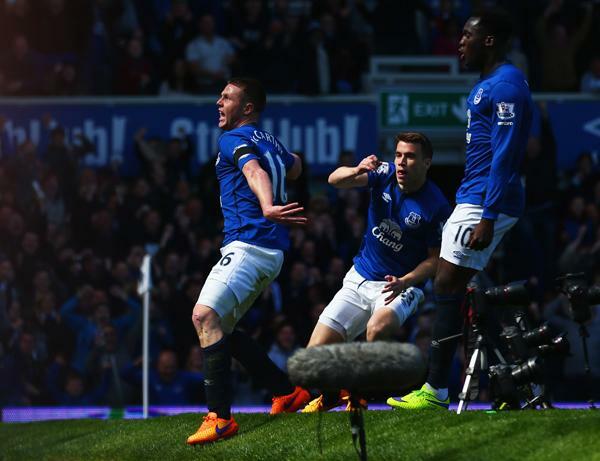 Reckless challengers were flying in, but bringing on the out-of-form Colombian would hardly pose a threat to Everton. There was absolutely no urgency in United's play, even with them being two goals down. Di Maria came on with less than half an hour to go. The hosts were sitting deep, inviting van Gaal's men forward. It seemed that Martinez wanted his team to settle for what they already had, taking the risk of disregarding a potential United comeback. Di Maria, sat deep on the right, battered a long ball over to Falcao who was perched in between Stones and Jagielka, but the back-pedalling Howard latched onto the Colombian's header. 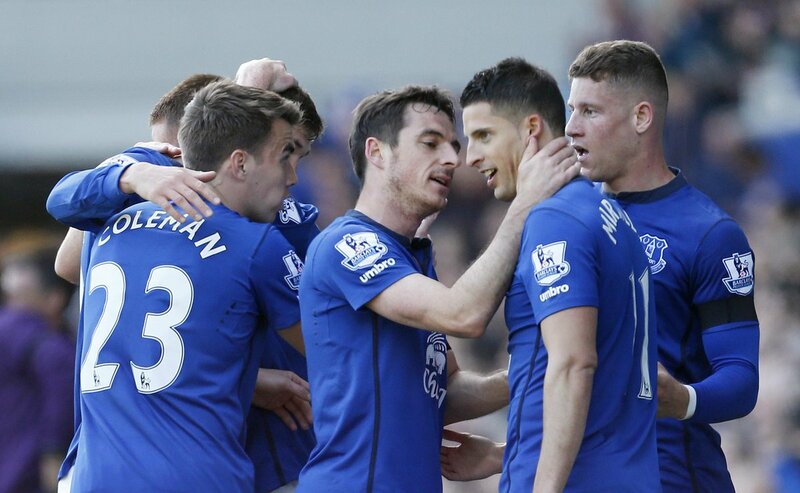 Just as matters couldn't get any worse for United, Mirallas ensured they did. Barkley whipped a ball over Smalling's head, but everyone expect Mirallas stopped in anticipation of the offside flag. But it didn't, and the Belgian raced past Valencia to put himself in on goal, where we slotted past De Gea. Barkley had been terrific today, controlling play in the middle and being the heart of blistering counter attacks. 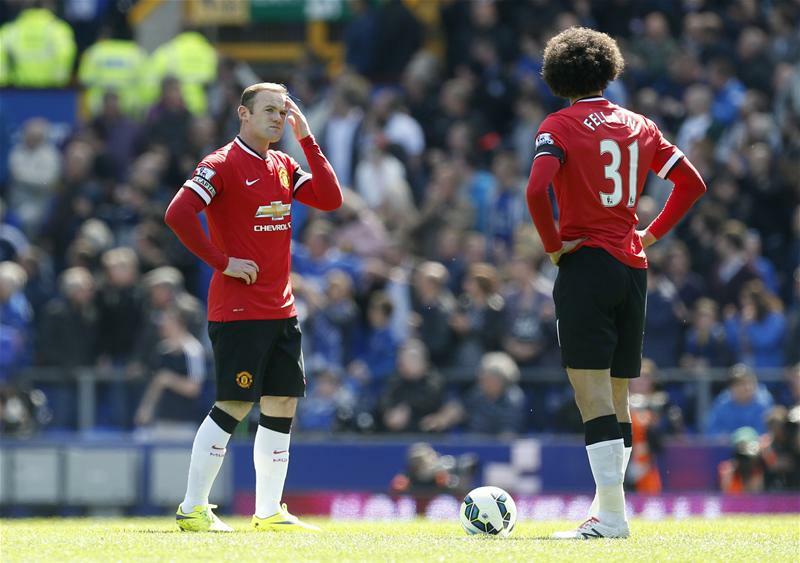 The referee concluded proceedings; resulting in United losing at Goodison in three consecutive years. 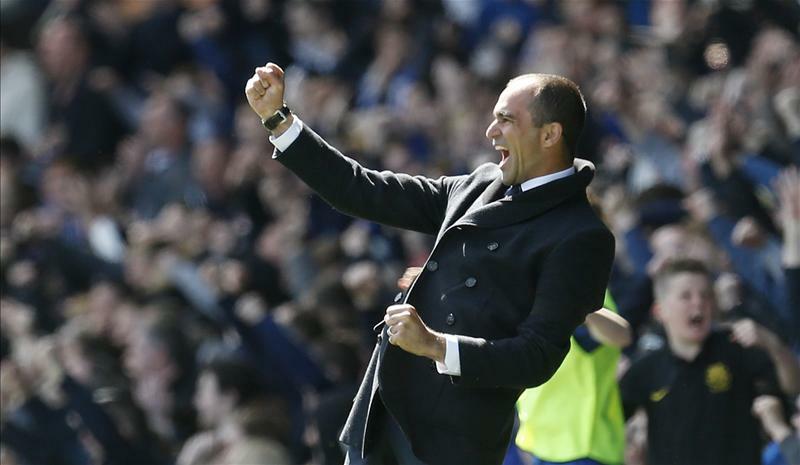 But for Everton, it's joy who are enjoying a wonderful spell of form.